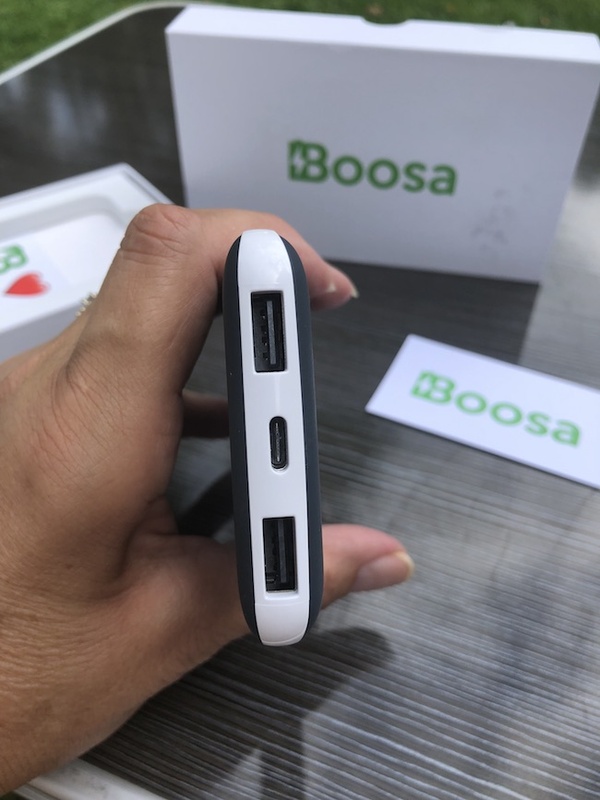 Best Power Bank Boosa Battery Charger | Be Plum Crazy! 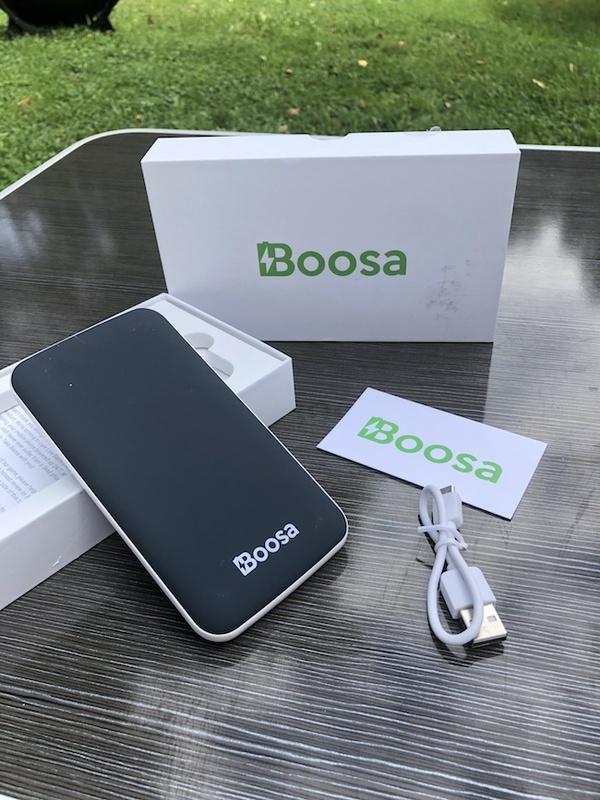 I received the Boosa Best Power Bank Battery Charger in order to facilitate my review. All opinions are my own and may differ from yours. Just Plum Crazy only recommends products that we feel meet or exceed our expectations. Halloween is almost here. And you want to be able to take pictures of all the scary costumes that will be coming your way. Or maybe you want pictures of all the fun trunk or treat decorations. Whatever the reason, you want your phone to stay charged. I noticed that my iPhone has a tendency to lose it’s charge when it’s cold outside. It never fails that when I leave home without it (because I know I’ll have enough charge until I get home) my phone dies within an hour of being wherever I am. ? With that said, I also don’t like to have to carry a big bulky power bank battery charger either. 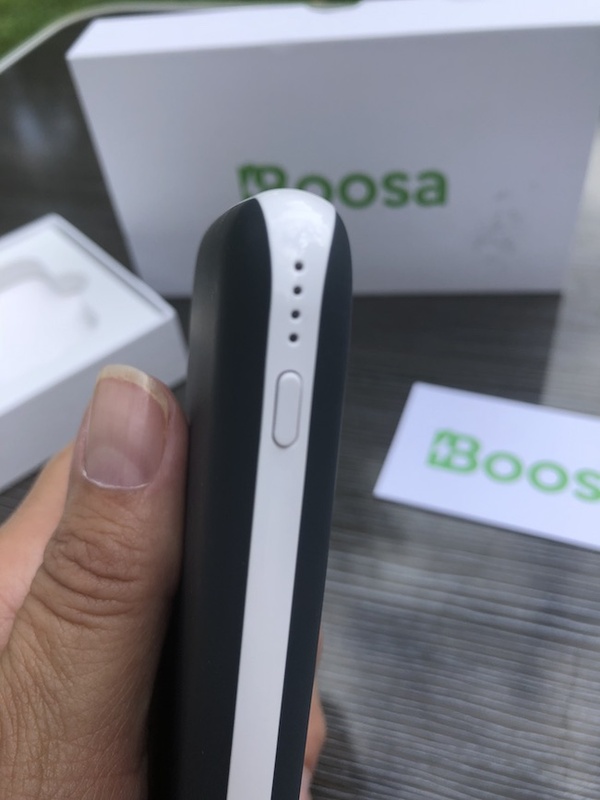 So when I came across the Boosa Best Power Bank Battery Charger, I was surprised at how slim it was and also how powerful it was. The Boosa battery charger is an ultra high capacity, high speed battery pack with 10000 mAh. One charge will juice up your iPhone up to 3.5 times. And with 2 USB ports, you can charge 2 phones at once through the traditional USB ports and a new Android phone with the USB-C port. It has a non slip rubber casing so you won’t drop it. Because it’s so slim, I can hold it to the back of my iPhone and not even know it’s there. The rounded edges make it comfortable to hold. Available in white or dark gray with white accents, which is the one I chose (you know, so it doesn’t show any dirt!) And it’s lightweight. What I also like is that you don’t have to remember to turn it on when you plug your phone in. It automatically turns on when you plug in. I can’t tell you how many times that I plugged into someones battery pack and thought it was charging…but it wasn’t because I didn’t turn it on. ? 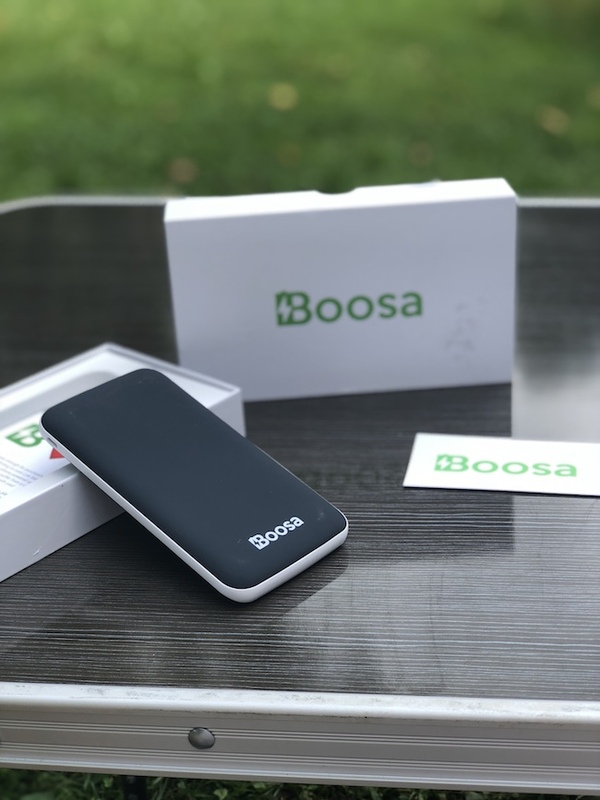 The Boosa Best Power Bank Battery Charger is available online and comes with the cord to charge it. Be sure to connect with them on Facebook, Twitter, Pinterest and Instagram.